Live At The Met! 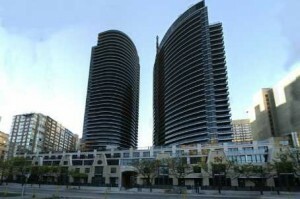 Luxury Living At Yonge & Carlton! 2 Bdrm, 2Bath, 823 Sq.Ft. With A Huge 7’X21′ Private And Lush Terrace! Ultra Modern Design With Many Upgrades! Urban Living At Its Best!! Excellent Amenities: 24Hr Concierge. Visitor Parking, Health Club/Spa, Pool, Saunas,Lounge,Theatre Room, Landscaped Bbq Terrace & Pet Spa! Steps To Subway, College Park Shopping W/ 24H Metro; Walk To Business District, U of T, Ryerson, Eaton Centre. Marble Countertops W/ Vessel Sink In Both Bathrooms, S/S Appliances, Granite Countertops, Stainless Steel Tile Backsplash And Vacuum Dustpan In The Kitchen! 2 bedrooms, 2 bathrooms, with a private terrace.